We often fly directly to Kerry so we frequently use Kerry Airport car hire. 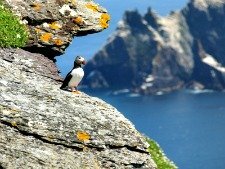 It means that throughout our holiday we are free to go and explore every corner of this remote and beautiful part of Ireland. If we see a secluded beach we can drive down to it. 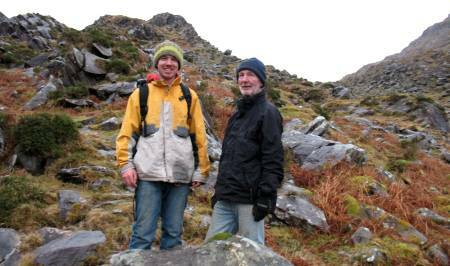 If we hear about a great walk in the Macgillycuddy’s Reeks mountain range we can get to it. Or if we fancy eating in one of Kenmare’s great restaurants we don’t need to order a taxi. Unfortunately many people decide to travel around the Ring of Kerry on a tour bus leaving from Killarney. Cramped up like cattle they all stop at the same convenient tourist traps before being herded back onto the bus to be shown the same photo opportunities as the coach in front. It is a shame that so many people leave the area having only scratched the surface. 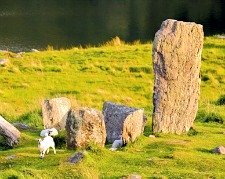 So why not use one of the Kerry airport car hire companies along with one of the suggested itineraries soon to appear on this website and see the real Kerry, Ireland. or hiking mountain trails in the Black Valley. There are so many great places you will return home each night pleasantly exhausted with a definite feeling of having reconnected mind, body and soul. 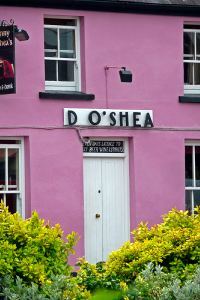 Our first Kerry car hire experience was a very refreshing break from the formality that we are so often surrounded by. We had booked our car in advance but when we arrived there was no-one at the counter. It turned out the man had been called away so surprisingly we were handed our keys by a women from another car rental company down the hall. In hindsight we shouldn’t have been surprised as time and time again during our time in Kerry we have noticed that everyone looks out for one another – yes, even if you work for a rival car rental company! To make the story complete after a week of hammering our poor car off the beaten track and up over funnily named mountain passes such as Moll’s Gap we returned to Kerry Airport car hire to once again find no one there. Instead we posted our keys into an old wooden box on the counter and hopped aboard our flight back. That’s the way they do things in Kerry…and we love it! The Kerry Airport car hire company we use is Budget Car Hire. They include 24 hour breakdown cover and have a selection of larger cars which is useful if you plan on bringing friends with golf bags!